The Winter Meetings come to an end today and, really, they’ll be over before lunchtime. The Rule 5 Draft is this morning and everyone heads home after that. The Yankees will undoubtedly lose some players in the Rule 5 Draft. That tends to happen when you have a strong farm system. There’s a good chance Nestor Cortes, Anyelo Gomez, and J.P. Feyereisen will hear their names called today. Bryan Hoch says the Yankees won’t make a Rule 5 Draft pick themselves. They’re focused on adding pitching. The Yankees were connected to basically every young controllable starting pitcher Monday, Tuesday, and Wednesday. That includes Gerrit Cole, Michael Fulmer, Danny Duffy, Patrick Corbin, you name it. Starting pitching is clearly the priority right now, even over an infielder. We’ll again keep track of the day’s Yankees-related rumors here, though I can’t promise much activity today. Keep check back for updates anyway. All timestamps are ET. The offensive numbers for the Yankees over the past week are just plain ugly: seven games, 18 runs and a .214/.286/.328 slashline. And half of those runs came in one game! The only team in the majors that can probably be jealous of the Yankees’ bats right now is the Mets. With a matchup against the Rays’ ace Chris Archer looming tonight, conventional wisdom would suggest the Yankees have little-to-no chance of ending their offensive slump. Archer is having a fantastic breakout campaign, ranking among the league leaders in nearly every pitching statistic, from ERA (third) to FIP (second) to strikeouts (second) to WHIP (first). He’s also dominated the Yankees during his four major-league seasons, going 5-0 with a 2.01 ERA in seven starts, and hasn’t allowed more than three runs in any of those games. 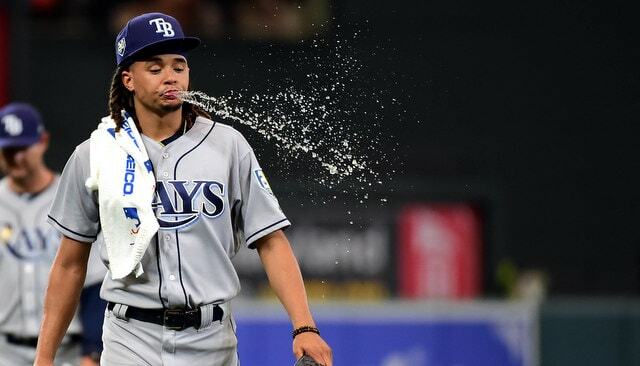 The list of players to start their career with a streak of at least seven unbeaten starts and three-or-fewer runs allowed against the Yankees is a very short one: Chris Archer. Yup, that’s it. Although Archer is arguably among the top-3 pitchers in the AL right now, he has struggled at times this season. He’s allowed at least four runs in four games, including his most recent outing when the Red Sox scored five times and hit three home runs against him on June 28. Unfortunately, the Yankees biggest advantage against Archer might have been getting Jacoby Ellsbury back in the lineup, who has crushed Archer in their previous matchups. But he’s still working to get his legs back into baseball shape, so instead the Yankees will turn to the scorching-hot Brett Gardner — who has also had a ton of success against Archer in the past — to lead the hit parade against the Rays’ ace on Friday night. No player in baseball has dominated Archer like Ellsbury. He owns the highest batting average, on-base percentage, and slugging percentage against Archer by anyone that has faced him at least 10 times. Gardner’s 1.172 OPS is fourth among that group of batters, and he is the only player that has four extra-base hits against Archer. The rest of the Yankees, however, have not fared as well, going a combined 9-for-63 (.143) against the Rays’ right-hander. The Yankees have already seen Archer once this season: on May 12 he held them to two runs on seven hits over seven innings. Nearly all that damage came in a 32-pitch first inning during which the Yankees scored two runs on four hits and a walk. 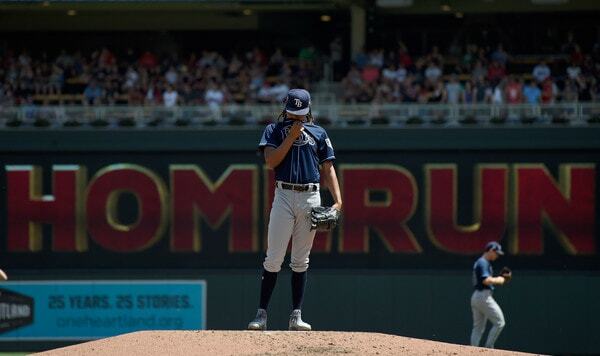 Archer threw just 73 pitches over the next six frames and retired 16 of the final 19 batters. Getting to Archer early appears to be the best game plan in trying to beat him. Nearly half of the runs he has allowed this season (14 of 33) have come in the first two innings, during which his ERA “jumps” to 3.18; after the second inning, he has a 1.92 ERA. The Yankees also need to lay off his nasty slider, which he often throws with two strikes and buries below the knees. Opponents have hit just .163 against the pitch this season, and 93 of his 133 strikeouts have been with the breaking ball. The Yankees were far too aggressive against the pitch in their matchup earlier this season, swinging at 24 of the 36 sliders he threw, most of which were in the dirt or unhittable (see the red dots in the image below). It was a boom-or-bust strategy for the Yankees in that game. They they whiffed on 13 (!) of those 24 swings, but got five hits on the seven sliders they were able to put into play. It would be smart to try and jump on his heater, which he starts an at-bat with nearly 70 percent of the time. Opponents have hit .304 when putting a first-pitch fastball in play this season against Archer. If he does decide to go with a breaking ball or something off the plate initially, the Yankees need to be disciplined and lay off the pitch. Getting ahead early might be the second-best strategy against him. Archer has allowed a .754 OPS after a 1-0 count, which is only slightly better than the MLB average in those situations. While there’s no guarantee you’ll have success, it’s better than the alternative — if you fall behind 0-1 against Archer, you’re gonna be in trouble. His OPS allowed after an 0-1 count this season is a ridiculous .362, the second-best mark among starters. Archer has clearly established himself as one of the elite pitchers in the game and is a leading Cy Young contender, but that shouldn’t worry the Yankees tonight. They’ve already shown that they can beat the best arms in baseball, and have been a much better offensive team at home than on the road this season. If they can execute a game plan similar to the one outlined above and take advantage of the friendly confines of Yankee Stadium, there’s a good chance we’ll see the return of the real Bronx Bombers and be able to celebrate a much-needed win over a division rival.